Females can reproduce via parthenogenesis, resulting in offspring that are genetic clones of the mother. Embryonic diapause is a reproductive strategy of marsupials, enabling them to keep an embryo “on hold” until conditions are right. Owls are more closely related to hummingbirds genetically than they are to other birds of prey. 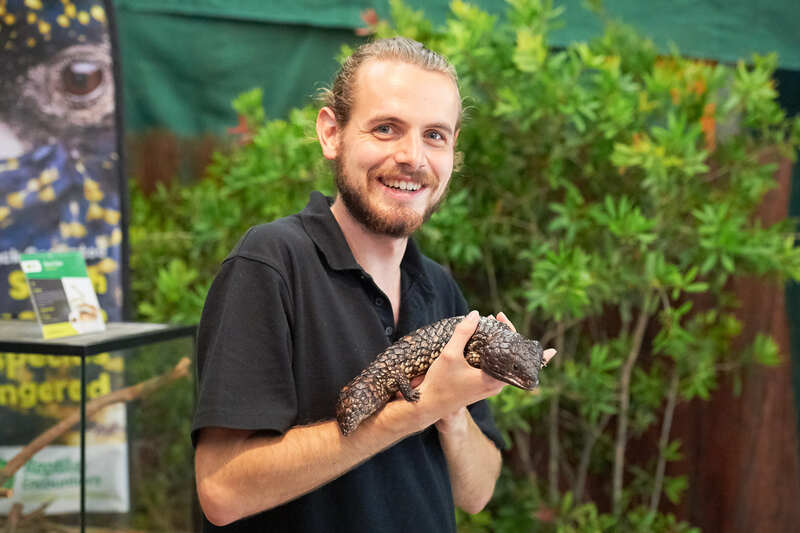 Shingleback Lizards are monogamous, and will not mate with anyone that is too closely related. Central Bearded Dragons are popular as pets, and artificial selection in captivity has resulted in a variety of colour morphs and scale types. Carpet Pythons are wide-spread across Australia, and exhibit a wide of colours and sizes, subspecies can cross breed in the wild and in captivity. Evolution has favoured the Olive Python to grow to large sizes and consume large prey. Saltwater Crocodiles lay large clutches of eggs, but only the strongest few will make it adulthood and be able to successfully reproduce themselves. How do species evolve, and what environmental and biological pressures are involved? Why similar adaptive features are present in non-related species. Why certain structural features are unique in certain species. How do characteristics get passed from one generation to the next?